Barbara Bry, a member of the National Advisory Council on Innovation and Entrepreneurship, in her Monday column in the U-T business section, mirrored Supervisor Roberts’ remarks when she credited Make It In America for strutting “our region’s stuff from drones to biotech” in discussing “how government programs in both the U.S. and Mexico can provide assistance” to overseas investors. In keeping with the theme, Supervisor Roberts, opening the Eleventh Annual Asian Heritage Awards gala, emphasized the importance of San Diego and its partnership with the Asian community, as “prime for globalization and job creation.” Roberts also presented the first award, which went to Dr. Charles Nguyen, for Opportunity in Education. Dr. Nguyen fled Vietnam as a youngster, educated himself in this country and rose to prominence as an engineer for NASA and as the first and only Vietnamese to be dean of a major college – Catholic University’s School of Engineering. Dr. Flossie Wong-Staal, honored for her work on cloning HIV and linking it to AIDS, helped to honor 85-year-old Renoo Hmatpongtua, who is spending the remaining years of her life seeing that something is done for teenage girls stricken with AIDS in her native Thailand. Dr. Wong-Staal received the Asian Heritage Award for Public Health. In making the presentation. Dr. Shu Chien of UCSD said that “her name will always be in the pantheon of university greats.” Dr. Wong-Staal, named the most important female scientist of the 1980s, was the first chairman of the newly created Center for AIDS Research at UCSD, until she went on to found her own company. After receiving her award, she introduced Renoo Hmatpongtua, whose 14-year-old granddaughter in Thailand was stricken with AIDS last year and is donating her ranch in Thailand as a halfway house for teenage girls stricken with AIDS, especially those ostracized by their families. Renoo received special recognition from U.S. Congressman Scott Peters. Awards were also presented by San Diego County Supervisor Ron Roberts, San Diego City Councilman-elect Chris Cate, community leaders Gwen Coronado and Dr. Binh Tran, financial consultant Julia Cheng, Asian Heritage Society Secretary Leonard Novarro and former San Diego Councilman and State Assemblyman Tom Hom. 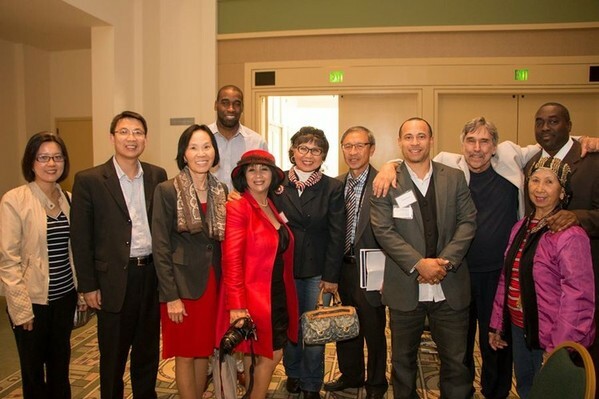 Major contributors to the event were the County of San Diego, Barona Resort and Casino and Julia Cheng Wealth Management and Estate Planning. Dr. Veerabhadran Ramanathan was recognized in the category of Science and Technology because of his work on identifying global warming; Dr. Palmer Taylor received the award for Medicine as co-founder of the UCSD School of Pharmacy; Dr. Anand Srivastava and Deven Patel, were honored for Business Enterprise because of their work in establishing stem cell research centers throughout the world; Dr. Alexander Chuang received the Global Outreach award for his work preserving Chinese culture in San Diego’s Chinese Historical museum; Dr. Marissa Pei was honored for Entrepreneurship as radio personality, author and fashion designer and Tina Guo, cellist virtuoso, received the award for Innovation. Tina also performed a 25-minute concert to conclude the Asian Heritage Awards ceremony. In addition, California Assembly Speaker Toni Atkins was recipient of the Asian Heritage Society’s Diversity Pioneer Award for her work in uniting the variety of groups that make up the San Diego tapestry. Award recipients also received congressional citations from U.S. Congressional representatives Scott Peters, Susan Davis, Juan Vargas and Duncan Hunter, as well as citations from California Treasurer John Chiang. The Awards ceremony was enhanced by performances from 12-year-old dancer Cady Mariano and vocalist Lily Ma, who participated in the awards to Toni Atkins and Alexander Chuang, respectively. A highlight of the Awards dinner was the exchange of gifts between visitors from China and the Asian Heritage Society, the Asian way of cementing relationships. Guests presented the Asian Heritage Society with a rare silk scarf. Rosalynn Carmen, in exchange, presented guest Shanghai business official Cheng Zhang with a “John Wayne” cowboy hat, which he exhibited proudly. The ceremony capped four days of activity in the Make It In America conference, whose purpose was to focus on San Diego and the region as a hub of innovation and creativity and opportunities available in various technological fields as well as foster collaboration between overseas visitors and home-grown businesses here. Top experts in their fields served as panelists throughout the event, which covered topics such as latest advances in robotics, nanotechnology, unmanned aerial vehicles, otherwise known as “drones,” and video game applications in health and education, as well as the latest in medical technology, how to jump-start a business, how to market to Generation Y, how to use new media and how to employ the EB5 visa to secure overseas investments. Other panels focused on the role of female entrepreneurship and the application of practices such as feng shui and muay thai, a form of marital arts, in expanding creative thinking. In addition, Manuel Rodriguez, executive director of the Tijuana EDC, which represents more than 600 maquiladora operations, delivered an excellent presentation on how using the vastly improved system in Mexico can be almost as cost effective as taking work to China. 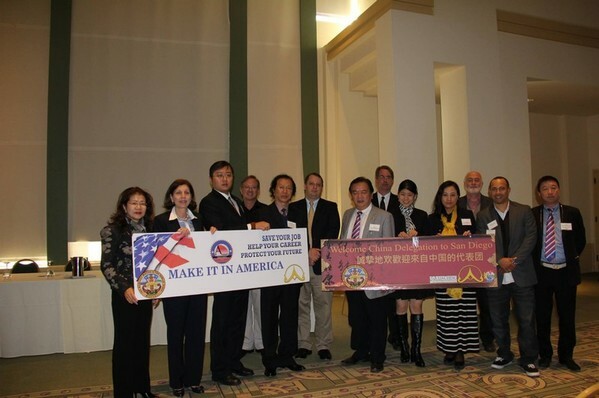 “While we are gratified by the participation of our guests from China, and other representatives from Thailand and Vietnam who came down from Los Angeles and Orange County, local attendance could have been a lot better,” said Rosalynn Carmen, Asian Heritage Society secretary and one of the organizers of Make It In America. “However, it is a start and a beginning point. Everyone in America who cares about the future should be concerned how to preserve it economically for this and the next generation. 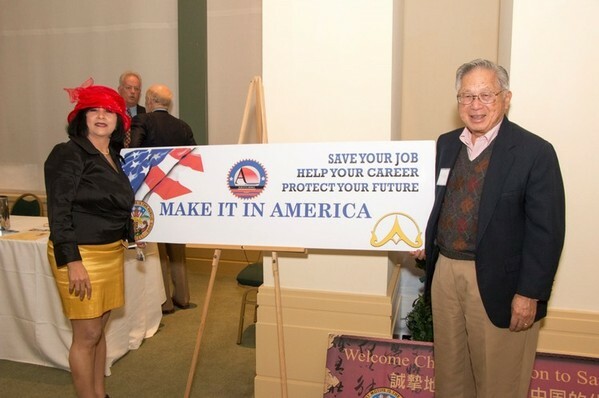 Make It In America is the foundation that will make this happen,” added Carmen, who said that the Asian Heritage Society has already begun preparations to repeat Make It In America – but better -- in 2015. In addition to County Supervisor Dave Roberts, the following individuals attended the Nov. 19 opening of the conference to welcome attendees: Barbara Bry, a member of the National Advisory Council on Innovation and Entrepreneurship, Dr. Geoff Cox, president of Alliant International University, Debra Rosen, CEO of the San Diego North Chamber of Commerce, Escondido Mayor Sam Abed and Anthony Nguyen, representing the office of U.S. Congressman Scott Peters.